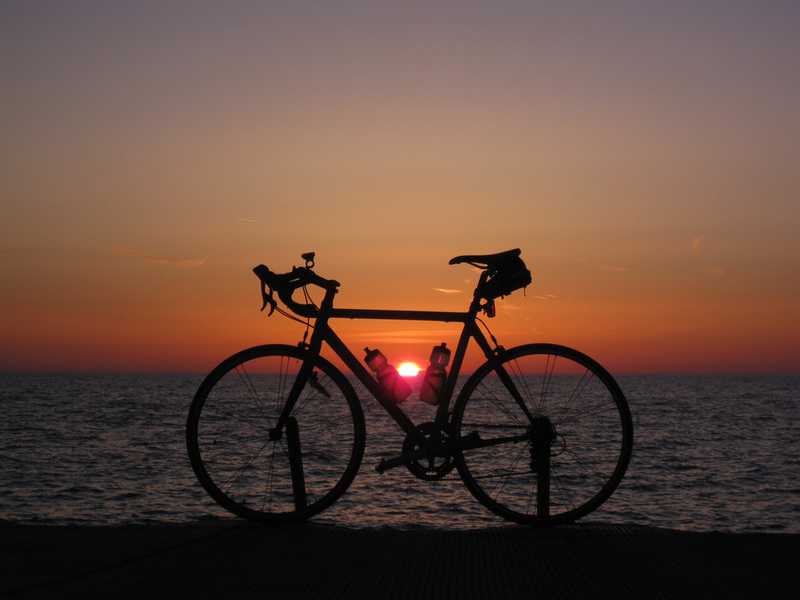 In between all the bike rides… I do find time to throw!… trust me. and get out a little sooner! Although it is Chicago… who are we kidding… it might still snow?! 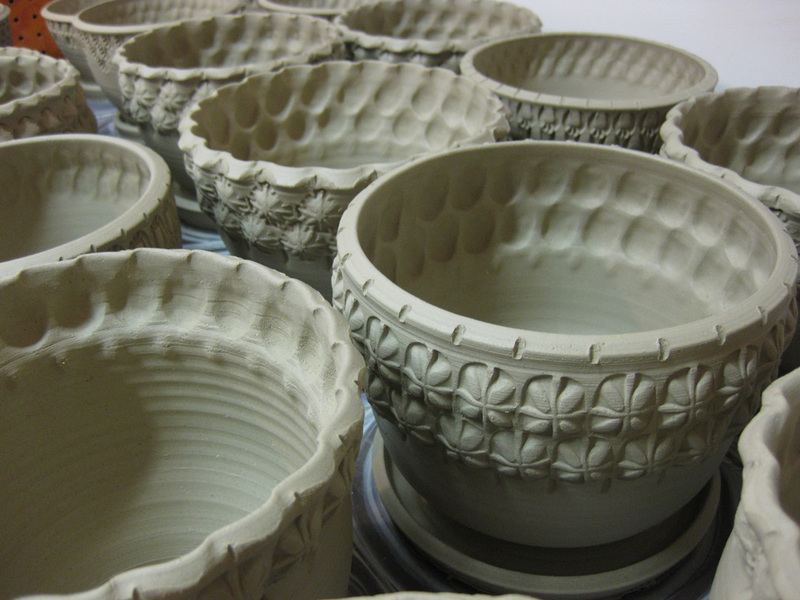 into more decorative flower pots with a LOT of stamping & rim fluting. with fluted rims. 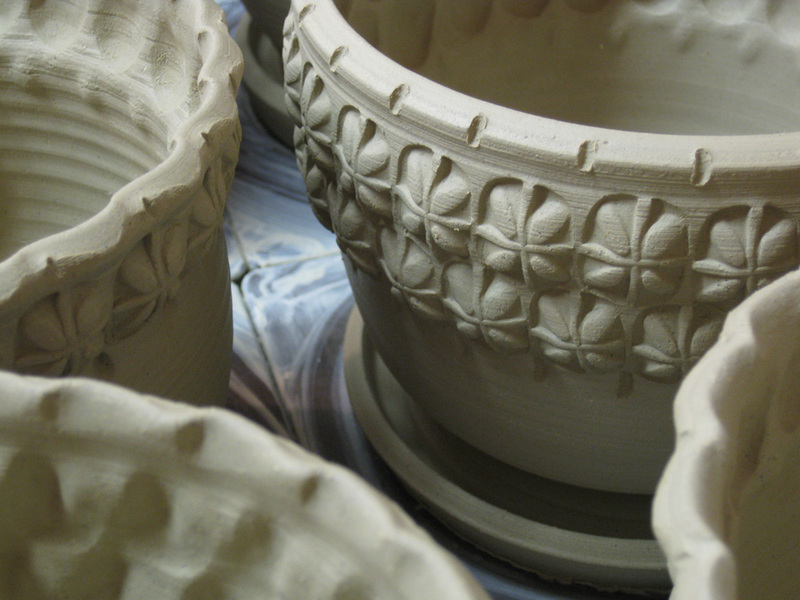 A mix of old & new styles… still not sure how I’m going to glaze these? Tomorrow I hope to trim them all and paint some slip accents. And don’t forget to punch the drainage holes too! that I scored from Tony when he moved out of his Lillstreet studio. how they turn out and if the soda atmosphere does anything cool to the glaze. 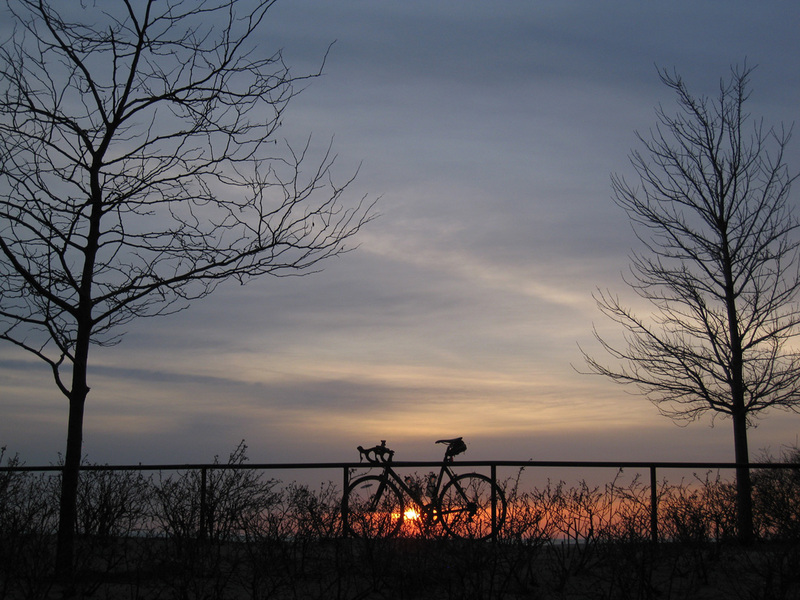 compelled to pedal this morning, not knowing when the next chance might be? 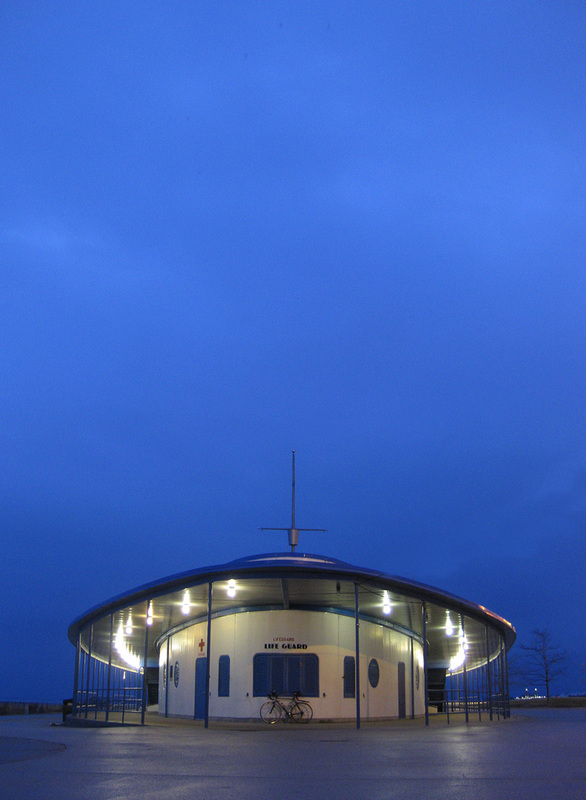 but a beautiful blue sky before the day’s grayness took over! 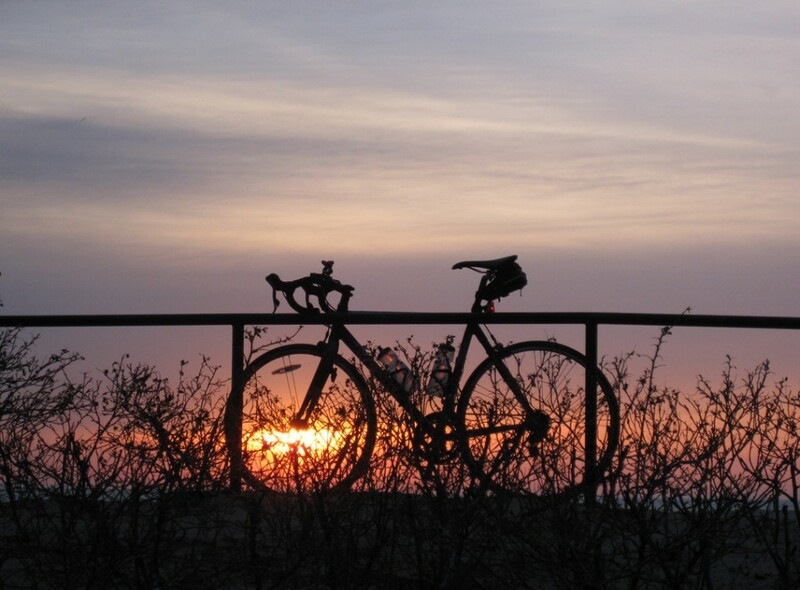 We keep waiting for Spring… hoping that it’s around the corner somewhere?! flower pots for my early summer art fairs. Just in time for those Spring plantings! So this afternoon after unloading my bisque, I threw 50-lbs. of flower pots!!! Now That’s A Lot of Bisque! 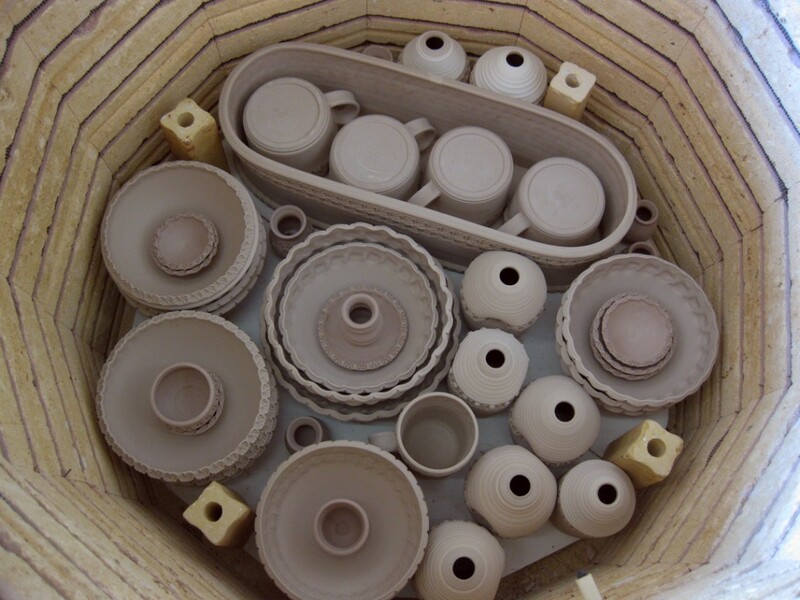 and just for fun, counted the number of pieces in that firing. counting the “real” pieces? !… either way, there was a LOT of work in there! The final bisque tally?… 135 pieces!!! 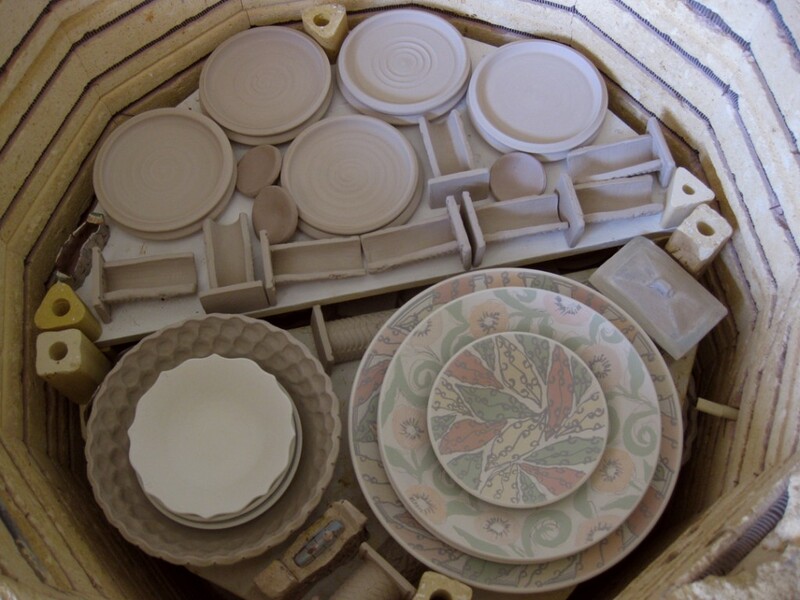 Today I loaded another electric kiln to bisque my latest batch of work. And you know my theory… pack it in as tight as possible to get your money’s worth! 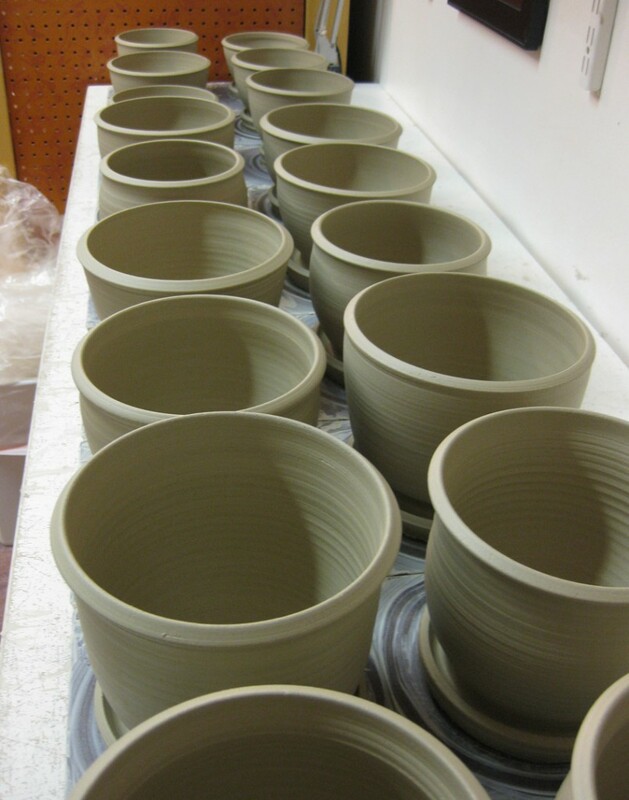 Layer One: bowls, mugs, soap dispensers – and a new oval planter for my windowsill. 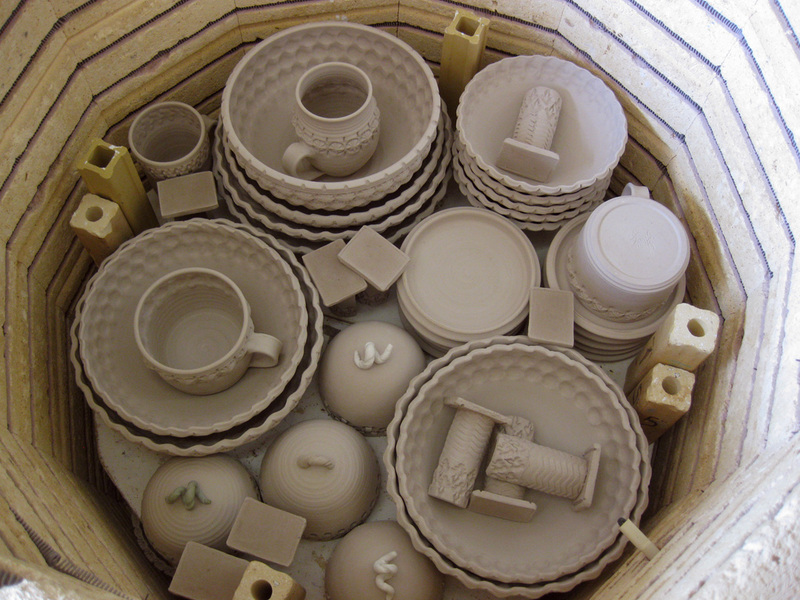 Layer Two: bowls, mugs, test tiles and new garlic keeper lids! 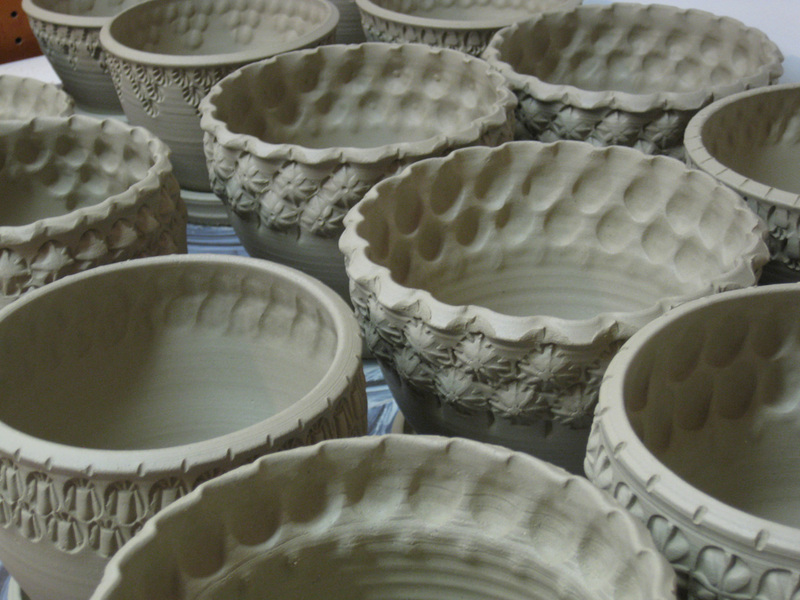 decorated bowls made my my studio friend Karen Patinkin. 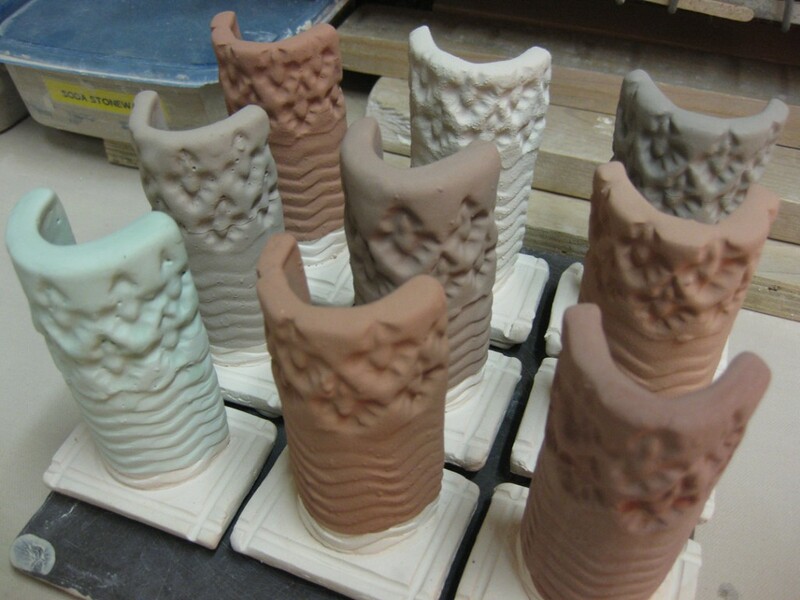 Layer Four: a tumbled-stacked pile of fun!… soap dispensers, vases, mugs & more! Plus a couple hand-built maquettes by Lisa Harris for a show she’s going to be in soon. 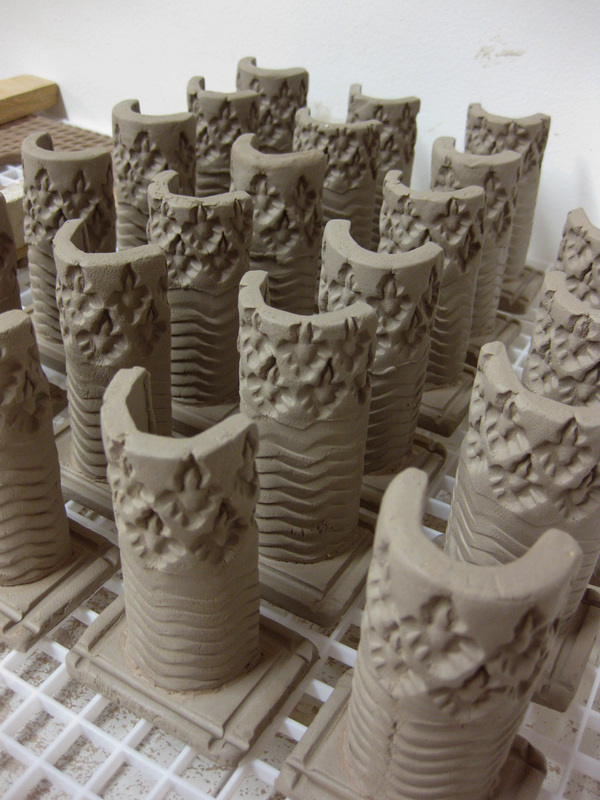 She’ll be using them as glaze tests before the finishes off the full size versions. a few months ago. 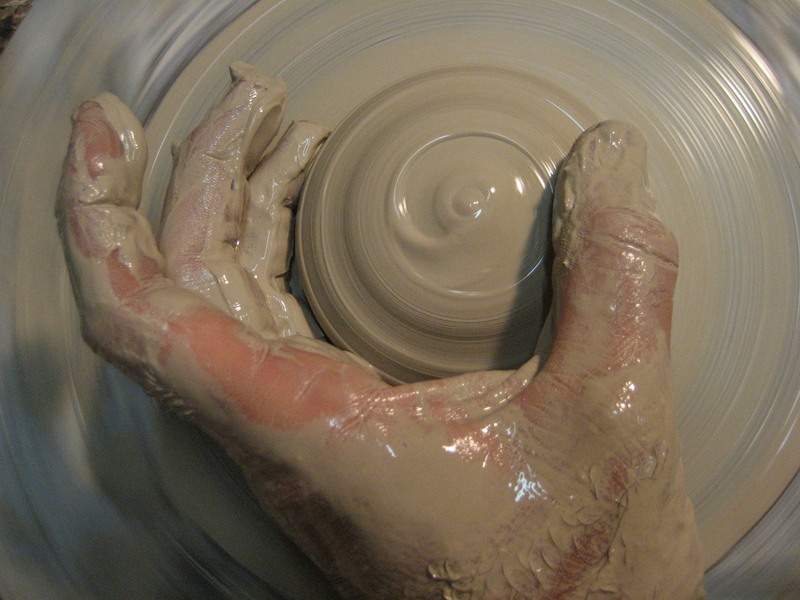 In his wake, he left a lot of mess, supplies, and buckets of glaze! the recipes to make more. But free glaze is free glaze!!! So… tonight I made a batch of test tiles for these “mystery” buckets of glaze! 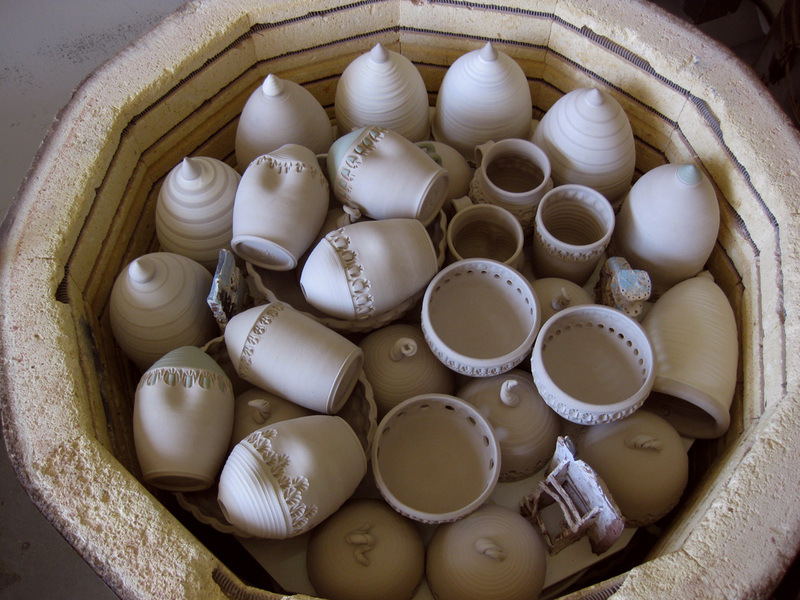 a kiln full of work. Wouldn’t that be a bummer?